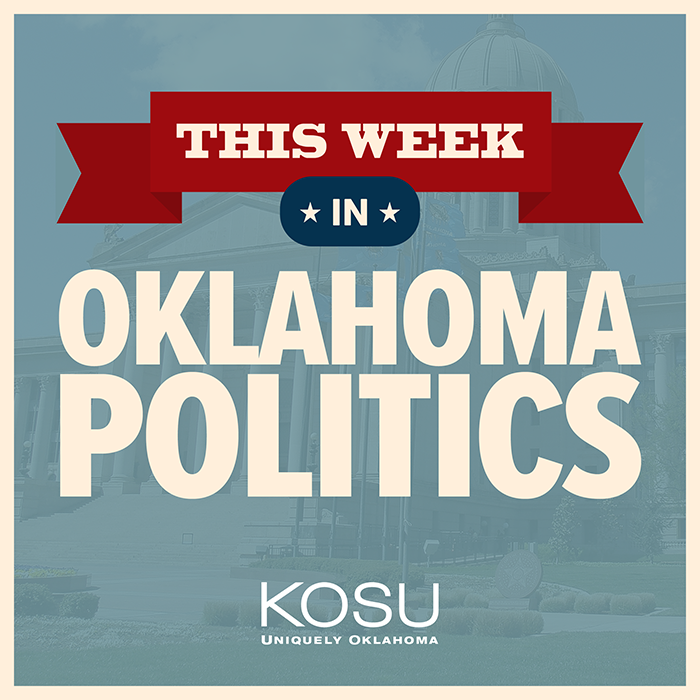 This Week in Oklahoma Politics, KOSU's Michael Cross talks with Republican Political COnsultant Neva Hill and ACLU Oklahoma Executive Director Ryan Kiesel about Senate Bill 195 which was changed from a trigger bill making abortion illegal if Roe v. Wade was stuck down to an anti-abortion bill going before Oklahoma voters, only 810 pieces of legislation remain after last week's deadline and two Republican lawmakers get to meet with President Trump regarding free speech at Oklahoma colleges, universities and career techs. The trio also discusses a lawsuit against a law to regulate the medical marijuana industry and Governor Stitt makes appointments to three state boards. Millions of dollars to make more room in the state’s drug courts, mental health courts, and community sentencing programs could be a possibility under a bill now being considered by the Oklahoma Senate. State Representative John Waldron wants the Legislature to authorize a new fund to pay for up to 875 additional people to be diverted into treatment programs instead of prison. “I was always in a room just getting high,” Smallwood explained. “But there’s so much more. So much more out there. Smallwood tries to hold back tears in her two-bedroom apartment north of downtown Tulsa. Today, she’s an active church member, she’s in a 12-step recovery program and she works as a forklift operator. However, a few months ago, she was in prison for multiple drug-related convictions.